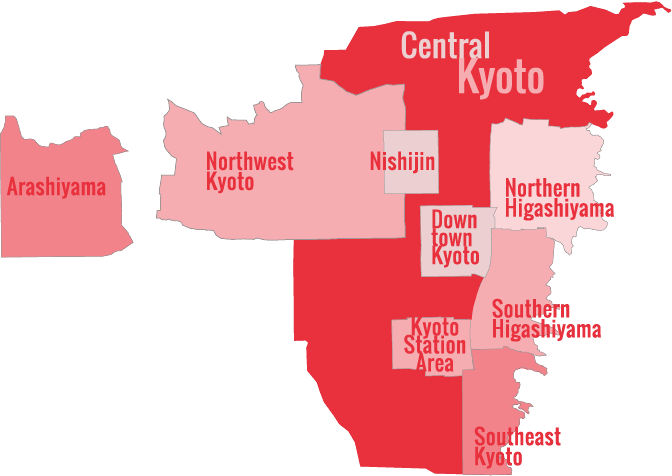 This itinerary focuses on some relatively quiet temples in the Northern Higashiyama Sightseeing District. Of course, in this busy season, they’ll be more crowded than normal, but they won’t be nearly as crowded as the more famous temples further south. 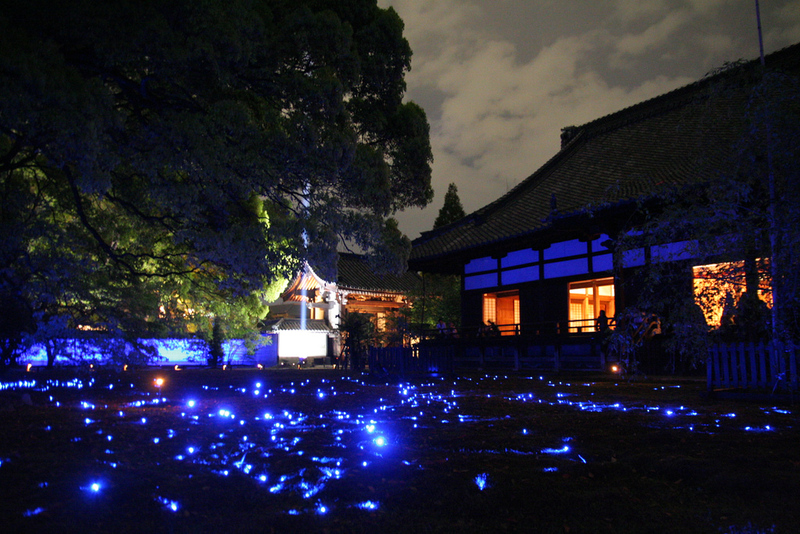 In the evening, we recommend visiting the illuminated temples in the Southern Higashiyama Sightseeing District. Yes, they’ll be crowded, but it’s worth dealing with the crowds to experience the magical of an illuminated temple garden in the evening. 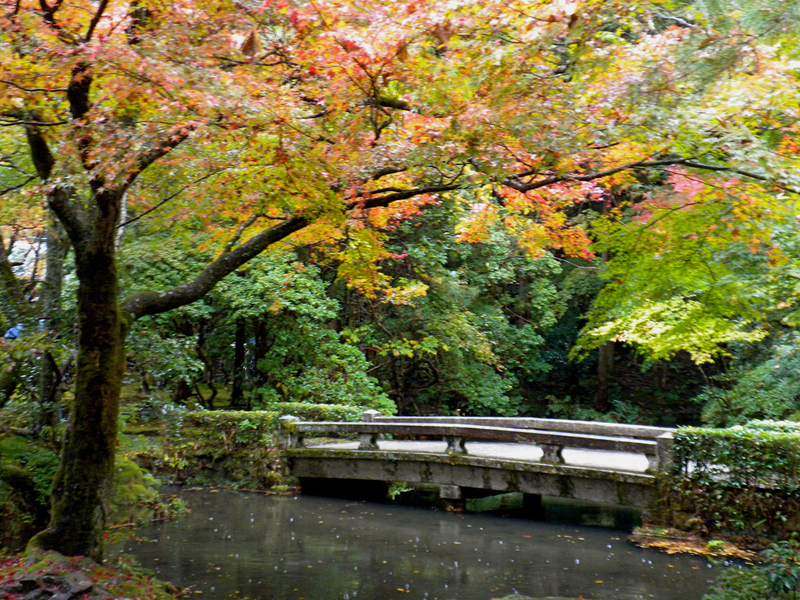 If you want to see the autumn colors at the classic Kyoto sights, see my Kyoto Fall Foliage Itinerary. Start the day by heading up to Shinyo-do Temple, up on Yoshida-yama. 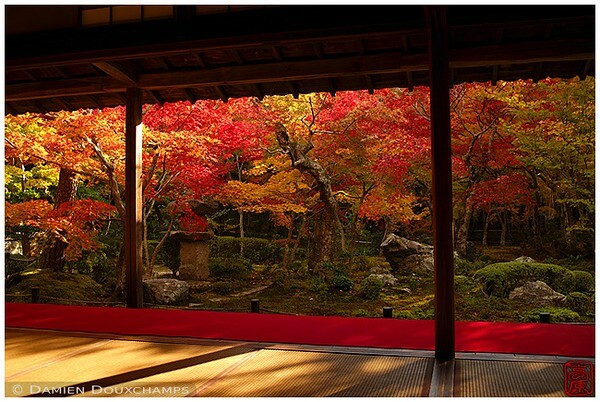 The main hall of this temple is surrounded by some fine maple trees, which turn crimson red in foliage season. Bus Nos. 5, 100, 203 and 204 all stop nearby. The closest stop is the Jodoji stop. It’s a little tricky to find from there (use our map to find the way). Of course, all buses will be packed during this season, so a taxi direct from your hotel is a very good idea and will save time and effort. 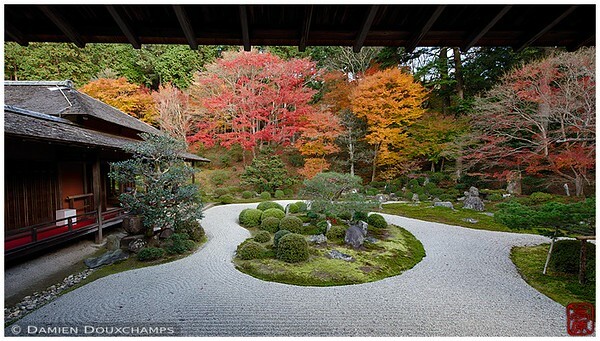 From Shinyo-do, walk down the hill and east toward the Higashiyama Mountains, at the base of which you will find the lovely little secret temple known as Honen-in, which is famous for the sight of its thatched-roof gate framed by red maple leaves. After exploring Honen-in, walk west back to Shirakawa-dori Street, where you will find supermarkets, convenience stores and several restaurants. Take your pick for lunch. 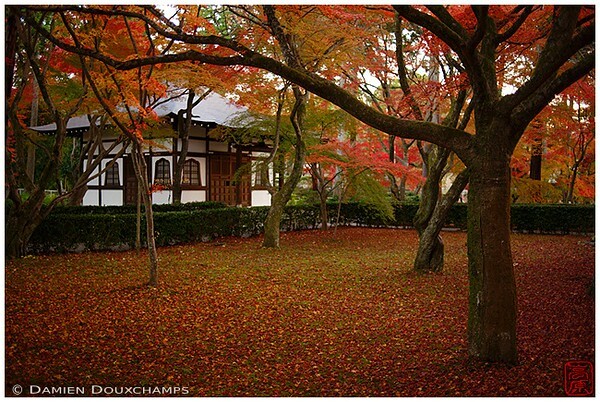 After lunch, take a taxi north to Manshu-in Temple, which has a fine garden that is particularly lovely in autumn. A taxi is a good idea since the temple is a little tricky to find (and the buses are crowded in this season and walking would be a bit much). From Manshu-in, you can walk south and downhill to reach two other fine temples that are great during foliage season: Enko-ji and Shisen-do. 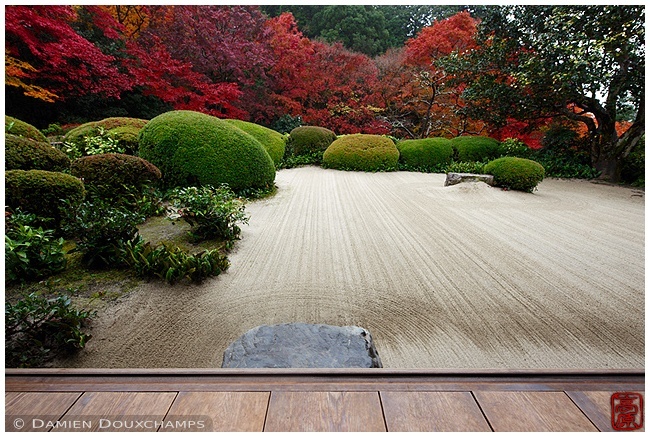 Enko-ji is a rarely visited temple that contains a truly beautiful garden and some interesting halls. Just around the corner from Enko-ji, you’ll find another little gem of a temple called Shisen-do, which is great during foliage season. Head to downtown Kyoto for dinner. Several of the famous temples in the Southern Higashiyama District hold special evening illuminations during foliage season. The effect can be magical. These illuminations are usually held every evening in November. I suggest taking the Tozai subway line and walking south into the district along Jingu-michi Street. When approaching from Higashiyama Station, you’ll reach the illuminated temples in the following order: Shoren-in, Chion-in, Kodai-ji, and Kiyomizu-dera. Don’t try to hit all of them: just choose one or two.